You are here: Home / Blog / What should be on my tax invoice? 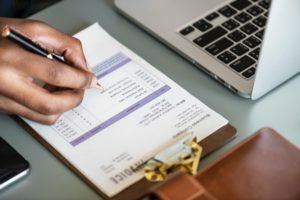 What should be on my tax invoice? It’s a question we’re often asked – what should be on my tax invoice? So what should be on your tax invoice? Your tax invoice must include enough information to clearly determine the following seven details. In addition, tax invoices for sales of $1,000 or more need to show the buyer’s identity or ABN.